휴, 베트남의 빈즈엉 2 호텔 | 호스텔월드에서 예약하세요. 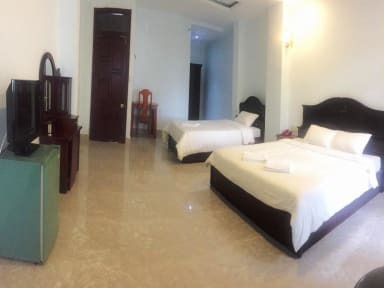 At Binh Duong 2 Hotel, the excellent service and superior facilities make for an unforgettable stay. To name a few of the hotel's facilities, there are free Wi-Fi in all rooms, Wi-Fi in public areas, car park, room service, airport transfer. The ambiance of Binh Duong 2 Hotel is reflected in every guestroom. complimentary tea, mirror, television in bathroom, internet access – wireless, internet access – wireless (complimentary) are just some of the facilities that can be found throughout the property. Besides, the hotel's host of recreational offerings ensures you have plenty to do during your stay. 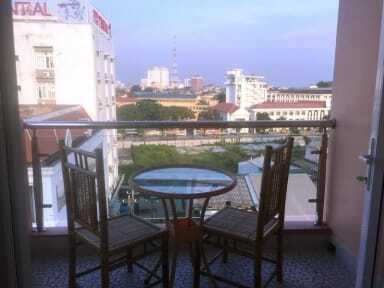 Whatever your purpose of visit, Binh Duong 2 Hotel is an excellent choice for your stay in Hue.